Books Mama !!! : How deep is the sea ? 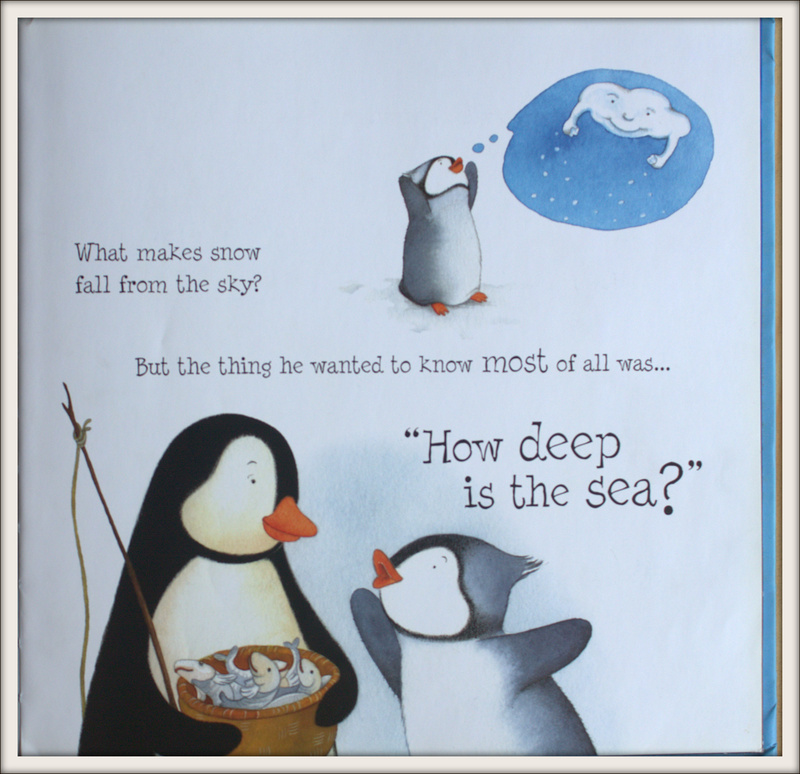 The cover illustration is that of a little penguin swimming in the sea as if in search of the answer to the question “How deep is the sea?”. It immediately reminded me of the endless ‘how’, ‘why’ questions that Junior asks. 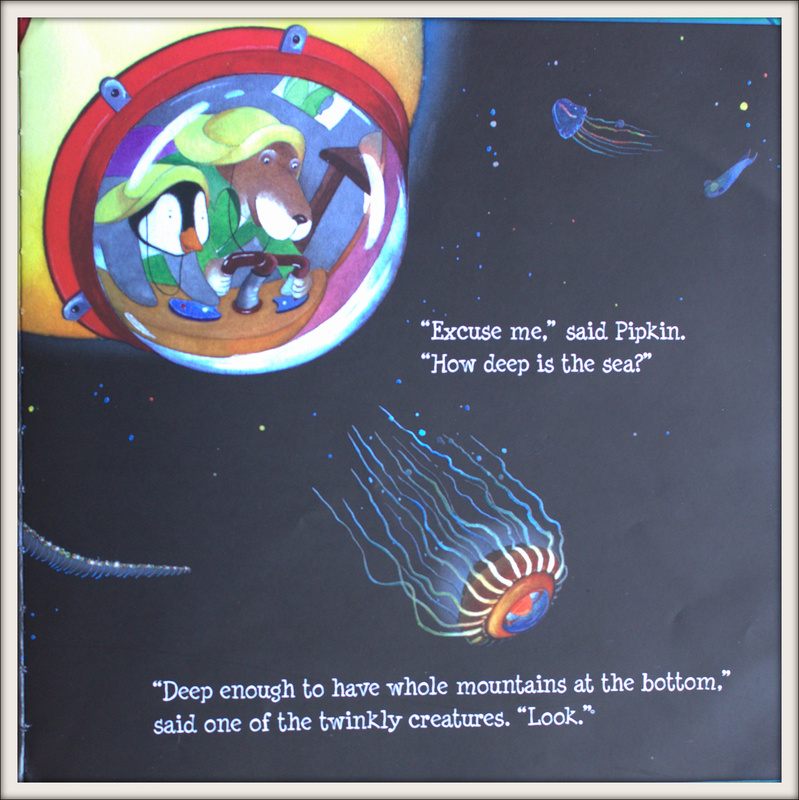 The book is a wonderful way of introducing the child to the underwater world – the different life forms at different depths of the sea. 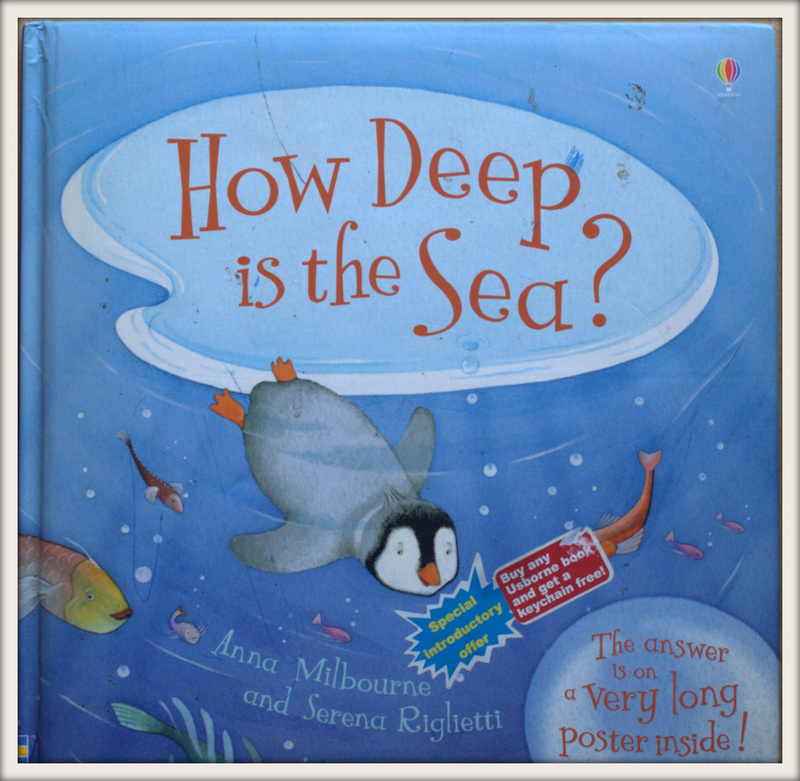 It is told through a penguin Pipkin who asks his mother “How deep is the sea?” His Mum asks him to take a dive and find it for himself. Salty the dog with a submarine is his companion in his journey. Early readers - 5 to 6 years can read it without help. - Do praise Pipkin for being curious. Encourage your child to ask questions. - Listen to the Beatles “Yellow submarine”. Ask him whom would he like to take along with him on his submarine trip and what food would he like to take with him. For friends who are outside India, check out How deep is the sea ? in Amazon.com.